Overdraft Protection is a service designed to protect customers against accidental overdrafts. The following overdraft protection programs are available on qualifying HomeTrust Bank accounts. If you qualify, a line-of-credit can be approved to cover all overdrafts in personal checking accounts up to your approved credit limit. Advances on the line-of-credit are processed in increments of $100 or the available balance on your line, whichever is less, and a $7 fee is charged for each transfer. Additionally, an Annual Percentage Rate of 18% is applied to the unpaid balance in your Cash Reserve account until the advance is repaid. Applications are subject to credit approval. If you have an existing home equity line-of-credit, it can be linked to your personal checking account to cover all overdrafts up to your credit limit. Advances on the line-of-credit are processed in increments of $100 or the available balance on your line, whichever is less. A fee is not charged for this type of transfer; however, advances are subject to the charges specified in the terms and conditions governing your home equity line-of-credit. This service allows customers with personal checking accounts the ability to have funds automatically transferred from another money market or savings account in your name to cover any overdraft caused by a check, debit card, ATM withdrawal, ACH withdrawal, or other debit transaction. Transfers are processed in increments of $100 or the available balance in your savings account, whichever is less, and a $7 fee is charged for each transfer. With this service, you may have no more than six transfers per statement cycle, including transfers for reasons other than overdraft protection. All bank fees and charges, including Overdraft/NSF/Returned Check charges are deducted from any applicable credit limit or linked account as they are assessed. Note that multiple Overdraft/NSF/Returned Item fees may be charged in one day if multiple items are presented with insufficient funds available. 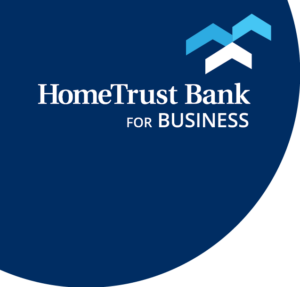 If you do not participate in one of the above overdraft protection programs, or if you exceed your overdraft protection program limit, transactions made by check, ACH withdrawal or recurring draft may be paid into overdraft at the discretion of HomeTrust Bank under its standard overdraft practices. ATM withdrawals or one-time debit card transactions may also be paid into overdraft at the bank’s discretion if you opt into this additional coverage. The fee for each item paid into overdraft under the bank’s standard overdraft practices may be up to $35 and will be limited to no more than five per day. You may be assessed $35 for each item returned for insufficient funds. Merchants may also charge additional fees for returned items. Transactions may not be processed in the order in which they occurred. The order in which they are received and processed by the bank can affect the total amount of overdraft fees incurred. To the extent possible, the bank processes checks posting on the same day in check number order, which may not be in the same order in which you wrote the checks. The posting orders for other debits, such as debit card transactions, ATM withdrawals, or ACH debits, vary based on the transaction type and the source, and are subject to multiple processing times during the day. See your Deposit Account Agreement and Disclosures for more information on transaction posting order. You will receive notification by mail each time insufficient funds items are paid from your designated overdraft protection program or paid into overdraft. This notice will detail the item presented for payment, the amount of any transfer, any overdraft balance, and the amount of fee charged to the checking account. Pursuant to your Deposit Account Agreement, you agree to pay us the amount of any overdraft and applicable fee immediately and without notice or demand from us. If you have not authorized us to cover overdrafts created by ATM or one-time debit card transactions, you will not be expected to pay any overdraft fee caused by an inadvertent overdraft caused by this type of transaction. Only one authorized signer is required to authorize this coverage of overdrafts caused by ATM and one-time debit card transactions. Each account holder is jointly and severally responsible under the Deposit Account Agreement for paying any overdraft amounts. Credit agencies may be notified if overdrafts are not cured promptly. It is the policy of the bank to operate in accordance with all applicable laws and regulations and to conduct business in accordance with applicable safety and soundness standards. Your Deposit Account Agreement controls the duties, obligations and rights of the Depositor, the Authorized Signatories and the Bank with regard to your checking account. Your Deposit Account Agreement terms shall control any possible conflict between any provision of the Bank’s overdraft policy and your Deposit Account Agreement.